Radhasthami Katha 2015 (by Vraja Kishor)! Is it ok to want a relationship with Krishna that isn’t centered on Rādhārānī and madhurya rasa / gopi bhava? If Rādhārānī is so compassionate, why is it so hard to attain Vraja-prema? What is advaya-jñāna? How does it relate to Krishna? In the philosophy of oneness and difference, we almost always hear about the difference between us and god. When should we start to consider the oneness? The more you make advancement, do the challenges of Māyā become more difficult? 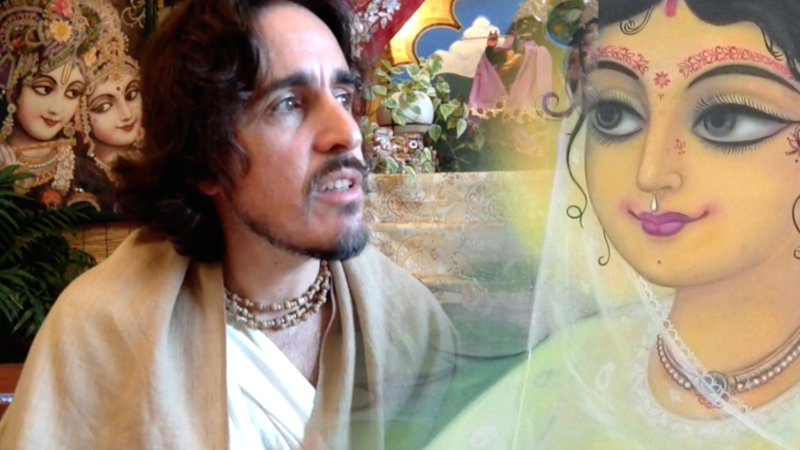 How can there be separation between Rādhā and Krishna if they are one entity? What is our relationship to Rādhārānī? Are we expansions of Rādhārānī? How does this affect our approach to Krishna?